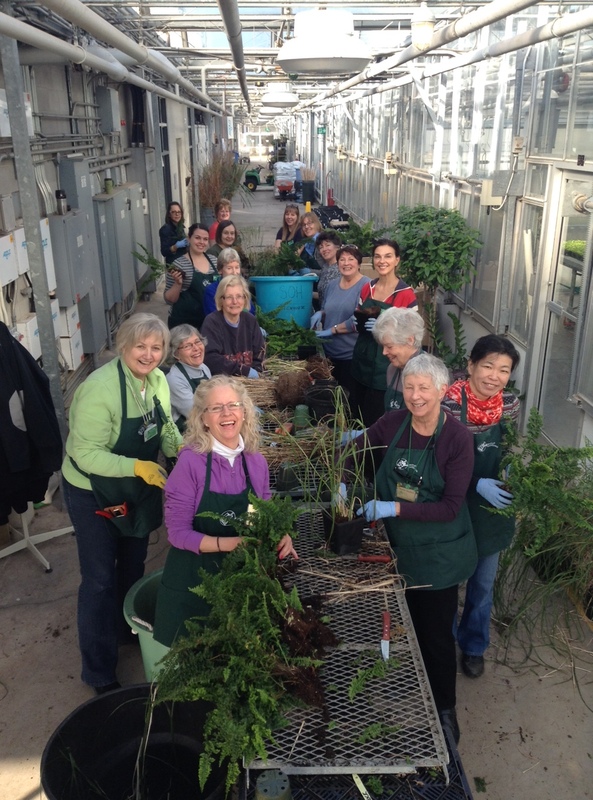 It was a sunny April morning when a group from the Master Gardeners of Niagara were treated to a tour of the Beamsville facility of Freeman Herbs on 4075 North Service Road. Once a former cucumber operation this greenhouse grows 12 varieties of certified organic herbs. Freemans also grows 65 conventional varieties of plants. With 16 acres under glass we had a lot of touring to do. The first area of plants consisted of rows of Boston ferns suspended from the glass ceiling in pots. We passed acres of herbs planted in small pots that are made from rice which can be composted and recycled. Ready to eat herbs are a favourite for any time-pressed consumer who would like to cook with the freshest herbs possible. One of the interesting Freeman offerings consist of combo packs of sage, thyme and rosemary for turkey and ham dinner seasonings. Special glass is being used to control the spectrum of light that reaches the plants. This technology converts any unused yellow and blue spectrum to the frequency of red which is the growing plants preference. Students from Niagara College take part in measuring the effect of the different light frequencies on the crops. Mini-satchets on a stick are used to distribute beneficial insects to minimize development of harmful pests such as spider mites and thrips. Special “banker plants” are located throughout the greenhouse. These plants host specific bugs that are the food for the biological control agents (parasitic wasps) that don’t feed on the primary crop grown. Before the herbs are shipped they are run through a water bath so that they are adequately hydrated before packaging and shipment. Freemans also grows popular succulent plants for the retail market. Thanks to our tour guides Kari, Andy and Rhonda the herb experts! If you’re ever in the Beamsville area check out Freeman Herbs. Their product is sold at most major retailers across Canada. 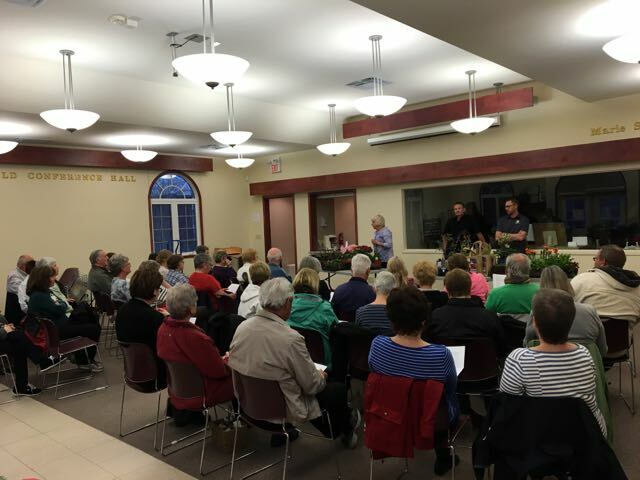 Another successful seed exchange was held at St.George’s Anglican Church in St.Catharines. Approximately 400 visitors ventured out to buy and trade naturally pollinated seeds for their gardens. The Vendor Marketplace offered numerous garden products for sale. There were morning and afternoon sessions with speakers who spoke on a variety of garden related topics. Many questions were answered by the Master Gardener volunteers. Radio personality Matt Holmes from 610cktb interviewed exchange organizer Leigh Anne Legault on whats involved at a seed exchange (interview link) Great job team! Suzette demonstrating the “3 second” hormone dip and sizing. June gathering trays. Finding a friendly slug. 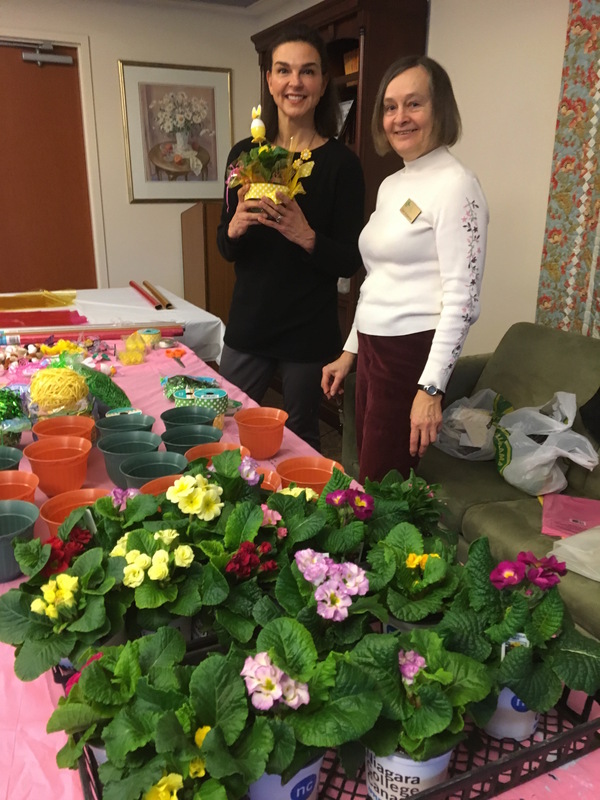 Our Master Gardener volunteers hosted a gardening workshop at Hospice Niagara. Small planters were created in a variety of flowers and colours. A great day to spend on a wintery afternoon with friends. 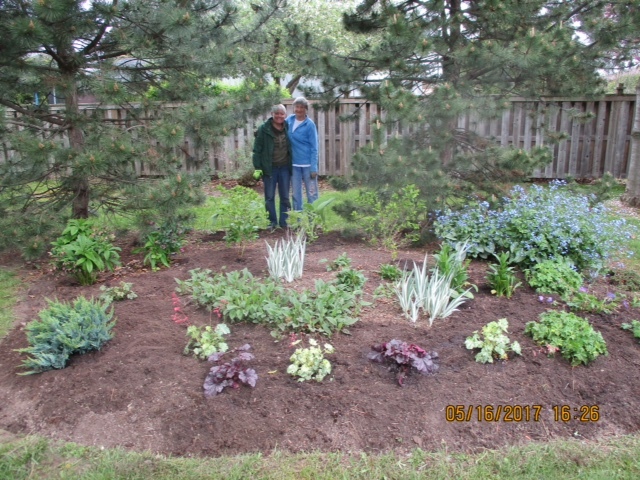 Good food, good friends and good fun was had by all as we celebrated the summer in Bob Martin’s beautiful outdoor garden. Thank you Bob! The past MG summer workshop was well attended and enjoyed great July weather. Three courses were offered: Creating Gardens (A Designers Approach), The Carolinian Zone and Urban Agriculture. Our instructors were Darren Schmahl, NPD, Darrell Bley, Instructor/Curator of Woody Plants and Kris J.Mahoney, PhD. Thanks to June Streadwick and Yvonne Causer for organizing this years event. We had a terrific weekend, made some new friends and learned something new at the same time. 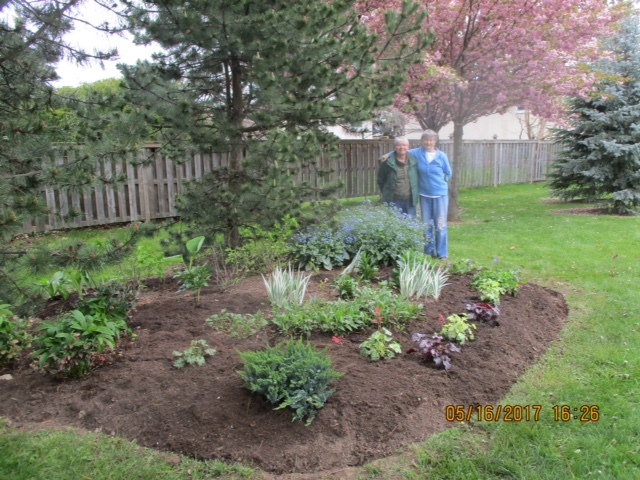 Karen, Barb and Alan completed the refurbishment of the Hospice Niagara Gardens. Great job fellow masters! 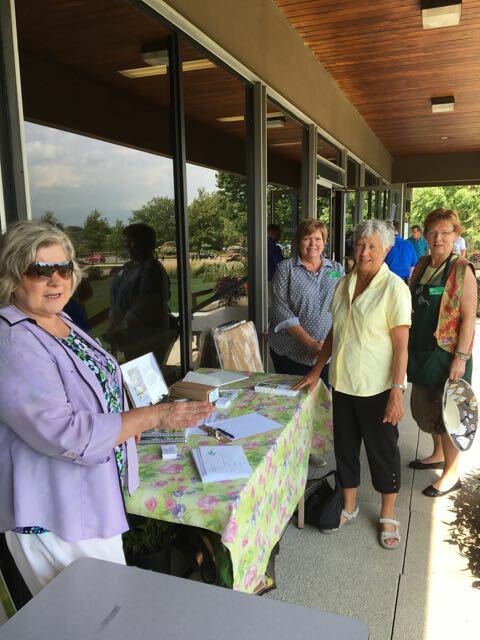 Master Gardeners of Niagara deliver gardening information to the public at various events throughout the year.